Welcome to our website!! 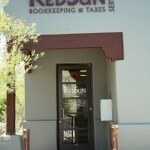 RedSun Bookkeeping & Tax Services, LLC, is locally owned and operated in Tucson, Arizona. We offer “personalized bookkeeping and tax services” to individuals and businesses. You don’t have an account number with us… you are treated with respect and your business is always welcomed!! Beginning as a one person bookkeeping business in 1992 by Debbie Duerre (formerly Connell), our business has expanded to offer a wide variety of services. We currently have five year-round employees with over 80 years of combined accounting and tax experience. We add additional employees as needed during tax season to keep things running smoothly and stress free! Here are a couple of pictures of our office, which we moved in to in December 2002. Click to enlarge photo. 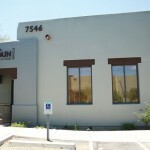 Our office is conveniently located in Northwest Tucson on La Cholla Boulevard, between Ina and Magee. Our office is nestled inside the La Cholla Corporate Center on the east side of the road, which is directly across the street from the Foothills Mall. Please take a look around and if you have any questions, please give us a call or drop us an e-mail.